When I read the first book in this series, I fell in love with the characters. I have never had a book make me ugly cry the way “Me Before You” did. It seriously left a mark on my heart. Then I found out that there was two more books in the series and I’m on cloud nine. I was so incredibly happy to hear that I could spend more time with one of my all time favorite heroines and that I’d get to learn more about her life after such heart break. I was not disappointed in the slightest. 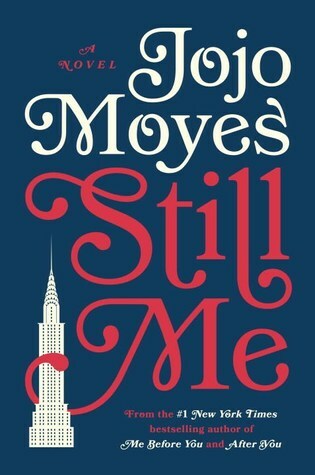 To be honest I wanted more from book two and I feel like Jojo Moyes gave me that and then some with “Still Me”. This book takes off right where book two ended. Lou took a hugeee step out of her comfort zone and traveled to New York for a job opportunity and to make a life. She has a whole slew of new experiences and trials to get through. I’m just so obsessed with Lou’s personality. I relate to her on so many levels. I like that this book tied together new people/relationships, with old loved characters. I laughed, cried, and smiled throughout this book. I’m rating this book with 4.5 stars because it was an amazing book. It didn’t impact me quite as much as book one but gave me what I was missing in book two. All in all, it was a great book. Jojo Moyes writes such amazing stories. Go one click! Great review. I have been wanting to read Me Before You and will now. I have heard good things about these books. Ugly crying. I have to prepare myself for this.